K-pop band UNB slated to perform their last concert in Japan. 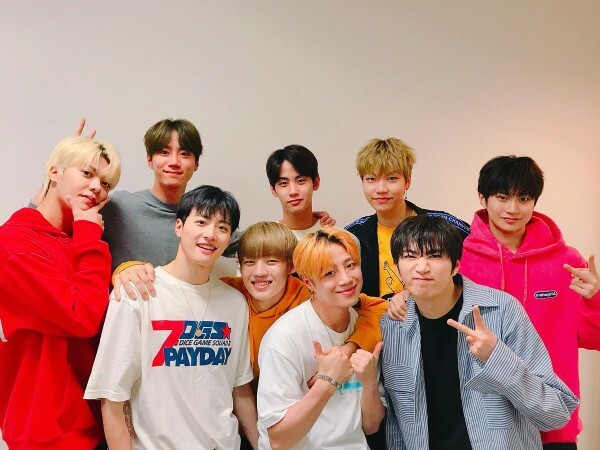 Project group UNB has announced one final Japanese concert "Thanks UNME" as the group's final promotions. According to UNB's management, "UNB is planning on wrapping up promotions with a last concert 'UNB Japan Final Concert- Thanks UNME' in January". According to sources, the members of UNB have reportedly returned to their respective groups to carry out other promotions. Though the group has announced that it is their last concert in Japan, it is unclear if the boys plan on making a comeback in Korea. The project group was created from idol rebooting project "The Unit" and made their debut album "Boyhood" in April 2018. The boy band has managed to capture fans both in Korea and overseas. The group consists of nine members namely Jun, Euijin, Go Ho-jung, Feeldaog, Marco, Ji Han-sol, Daewon, Kijung and Chan. Before getting their big breakthrough "The Unit", all members have been actively involved in the entertainment industry. Feeldog made his mark as a member of Big Star in 2012 while Euijin joined hands with A.cain under the name Lo-J. Wuijin left the group within a year citing issues with the company and made his debut as a member of Bigflo. Deawon started his musical journey as a member of Madtown and Ko Hojung made a mark as a member of Hotshot. Jun joined U-KISS as the youngest member and Chan was part of A.C.E. Kijung was a member of IM and Marco was a part of Hot Blood Youth. Ji Hansol, a former SM Rookies trainee is all set to debut as a member of New Kidd boy band. After winning their title at "The Unit", UNB made their debut album "Boyhood" featuring double title tracks "Feeling" and "Only One". The Japanese concert "Thanks UNME" serves as a final tribute to the group before disbandment. More details of the concert have not been revealed for the closure of the UNB's activities. The teaser for their concert has garnered much interest from fans who have taken to social media to express their love and gratitude to the boy band.